Our modern media spring from a common source, an invention that is rarely mentioned today but that had as decisive a role in shaping society as the internal combustion engine or the incandescent lightbulb. The invention was called the Audion. 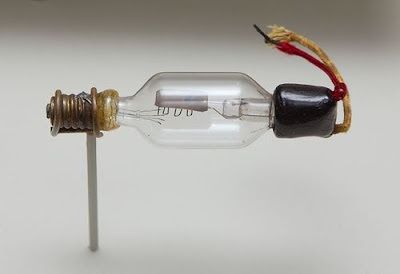 It was the first electronic audio amplifier, and the man who created it was Lee de Forest. Even when judged by the high standards set by America’s mad-genius inventors, de Forest was an oddball. Nasty, ill-favoured and generally despised-in high school, he was voted “homeliest boy” in his class – he was propelled by an enormous ego and an equally outsized inferiority complex. When he wasn’t marrying or divorcing a wife, alienating a colleague or leading a business to ruin, he was usually in court defending himself against charges of fraud or patent infringement – or pressing his own suit against one of his many enemies.